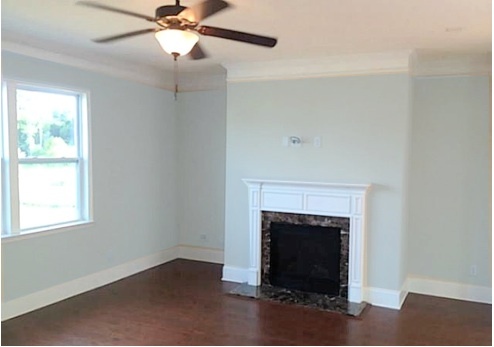 ← How should I paint my bonus room? Any color you want to but before you do – think just a little bit about your options. When you’re choosing color for your living room, look at your flooring, it plays a HUGE roll when deciding what color to choose. Just like paint colors have undertones, so do floors. 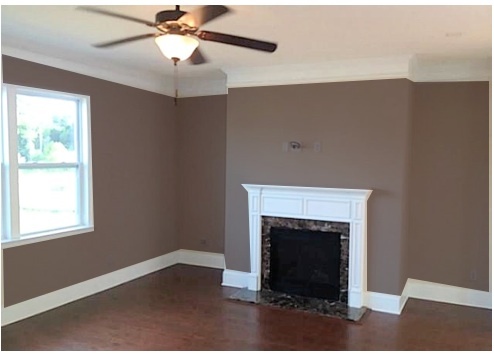 The living room I have here is a brown floor with a red undertone so keeping that in mind, let’s look at the options for our wall colors. MINT GREEN: It’s has become a popular hue but not everyone likes it of course. Personally, I gravitate towards the warmer more yellow greens. Getting back to floor color, we know that “red” and green work well together so Mint Green is a possibility for your living room. COASTAL BLUE: Clearly, this is beautiful! I love the contrast with the flooring to. Be careful with the blue you choose – if you go to light – it’ll look like a baby boy nursery instead of a living room. GREEN: This is a very warm and cozy look for your living room. Again, green with this flooring is win. Artwork with black frames looks amazing with this color. BROWN: Great monochromatic color scheme but be careful with this one. If you have a low ceiling and a small room, this color choice may be too dark. Than again, ultra white ceiling, bright furniture and drapery, this can be very stunning. This entry was posted in Coastal Colors, Color, Living Room colors, Popular Colors, South Charlotte and tagged brown, coastal blue, color, green, living room color, mint green, red floor. Bookmark the permalink. 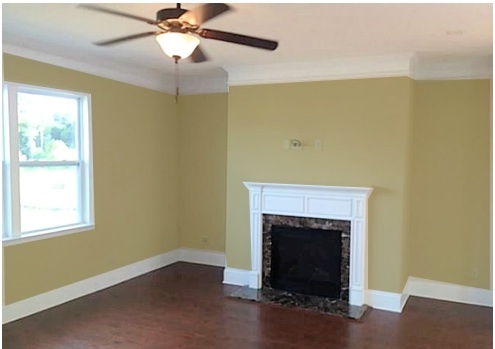 24 Responses to What color should I paint my living room? Thanks Kristie – I just have too much fun coloring in rooms – love it! I’m really liking the last color! Which is surprising to me. With lighter furniture and some brass and silver metallic accents/mirrors I think it would look stunning and unique. Fun to compare the colors! Brown can obviously make or break your room. With the decor you’ve just mentioned, it’ll be amazing! If you don’t use updated decor with brown, you can easily date your room. Sounds great Nicole! I have flooring the exact color of what you’ve shown; and I have green couch & artwork with dark frames.. Going for a tuscan look, but the color I have on the walls (lighter gold) isn’t really working…I’d like to go for something dramatic, the space gets a fair amount of light – any suggestions for wall color? I can’t really suggest a color without knowing the colors in the rest of your home. I can probably suggest a darker, dirtier gold that would be more conducive of the Tuscan look. Try ‘Golden Tread’ with accents of Gilded Ballroom both are by Benjamin Moore Color Stories if you want to stay in the gold family. I love the way gold looks with those dark brown floors. These colors may be too much if you have a small room. Good luck! Bella! what about the color “peach”. I just love it and can’t seem to find ANYTHING to go with it! The brown living room was a popular choice when this post went to Twitter also. The brown is just to rich looking! Thanks Laura. I live in Florida, my floors look very similar to the one in the picture and I recently painted my walls the coastal blue. I love it as it is but I am having a hard time coordinating pieces to decorate the room! I have dark brown (looks almost black) sofa and the furniture is also dark wood. I want to add art work and accent pieces but I am having a hard time finding things that fit, any suggestions? I would suggest purchasing a color consultation so I can help you with the details. This way, I can see pictures of the room you send so I can visualize what lighting we’re working with. Email me at DecoratingbyDonna@mac.com if you’d like to proceed. I choose the dark brown. It really pops with the white molding. It looks so crisp. My living room is gray but I wish it was a darker gray. Dark paint is so cozy. Nothing like a cozy living room. Good choice. What color brown is the brown room? Isn’t that great! Brown is going to be BIG you’ll see! I have a Color Coach option -see SERVICES about for details. I have a Color Coach option available and I can provide all that information for you in the paint brand of your choice. 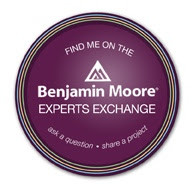 Contact me via email for details. Which green are you referring too? The minty one? I picked these colors a long time ago and didn’t write them down. There are similar hues in just about every paint deck. It would have to be some hue in with a warm undertone of course. This answer is going to be real general because I can’t see it but try a taupe or gold.